My ISTE17 Adventure Day 3 was on Monday, which was the first full day of the conference. My plan was to get there by 8am to go to the poster sessions and look around before my first session at 8:30--Differentiated Instruction in the Chromebook Classroom. In true Bonnie fashion, I actually arrived shortly after 8:30 so the session was closed. People stood at the doors with counters and when it reached capacity, you were out of luck. 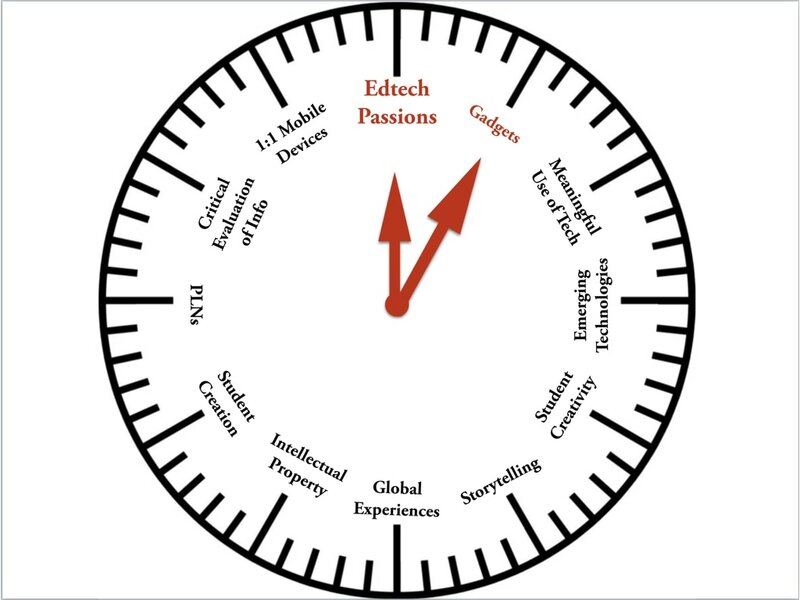 I had marked down at least 5 things I wanted to go to during every time slot, so it didn't take me long to realize this gave me an opportunity to hear esteemed ed tech leader, Kathy Schrock. Her session was called "It's Time to Find Your EdTech Passion." She showed us an image highlighting where her tech interests had been over time and provided us with a link to her website with resources for each area. One of my favorite resources is similar to the SAMR model of determining the use of a tech tool, app or website, but seems more practical and easier to use. 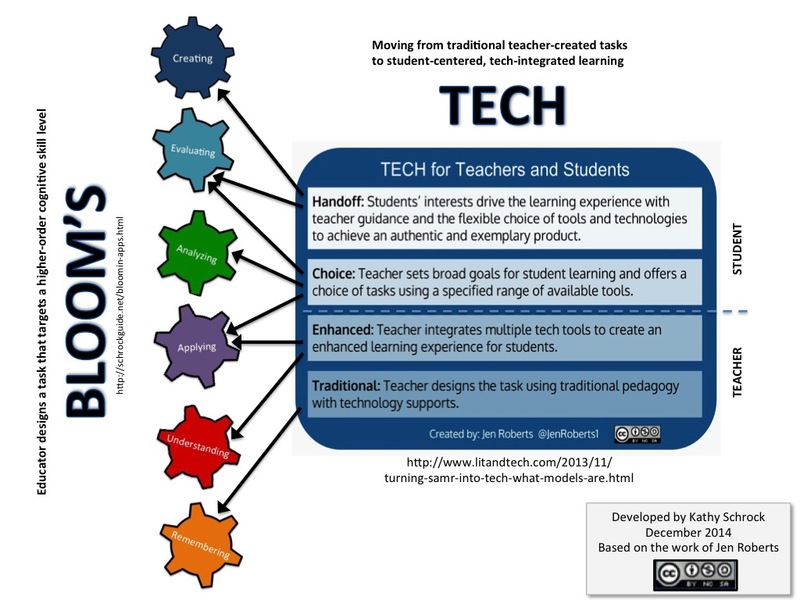 It can be found here and uses TECH for the acronym--Traditional, Enhanced, Choice, and Handoff. It was fun, informative and a great way to start off my morning. The next session I attended was an Ignite presentation. For this, each presenter has just five minutes and 20 slides each to share their passions in a continuous rapid-fire presentation. I walked in on the tail end of Sketchnoting but here is a video from PD in Your PJs that tells more about it: https://www.youtube.com/watch?v=RSdJv2JdfFk. Christine Pinto was charming, energetic and inspiring as she told us about #GAFE for Littles. One of my favorites was Tara Martin talking about BookSnaps and how she uses what the kids are familiar with (SnapChat) to get them to share about their reading, but you don't have to use SnapChat. Students could use other apps or websites like Buncee to create their snaps. One comment that stayed with me was "If we fear tech because of what they might do, that's crazy!" Michael Cohen, The Tech Rabbi was fun to watch and had engaging slides. Ginann Franklin had us all laughing about being too old for ISTE but pointed out the ageism that tends to exist when at tech conferences. Jen Giffen almost had me crying with her presentation "We Can All Do Better." She shared a story of a student who worked very hard on getting an assignment done, being excited about doing a good job, then not turning it in. When she asked why, he said: "I didn't hand it in because as long as it is in my bag, it is still good." We do this to our students when everything is about red ink and grades instead of discussions for improvement. To end the session, Claudio Zavala shared the Flipgrid fever and his #singasong movement. Kudos to all for an enjoyable morning!